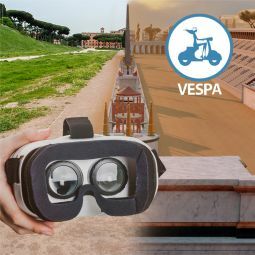 Just like a book of history, interactive and modern, the Oculus allows you to immerse yourself 360 degrees in the daily life of the most important city in the ancient world, to see it again and relive it in its magnificence. The reconstruction is accurate and accurate to detail, based on archaeological studies, moreover the realistic rendering and the quality of HD images, favor an experience of considerable emotional impact. Among the hotspots to relive in Imperial Rome, there are the Colosseum, during the activities, covered by its Velarium; the triumphal Arch of Constantine, as presented to travelers of the IV century; Circus Maximus, before its destruction; the Mouth of Truth and the Temple of Hercules Victor; Theatre di Marcellus; Imperial Forums, the business and economic area; the Theatre of Pompeus, the oldest and most impressive theatre in the city. 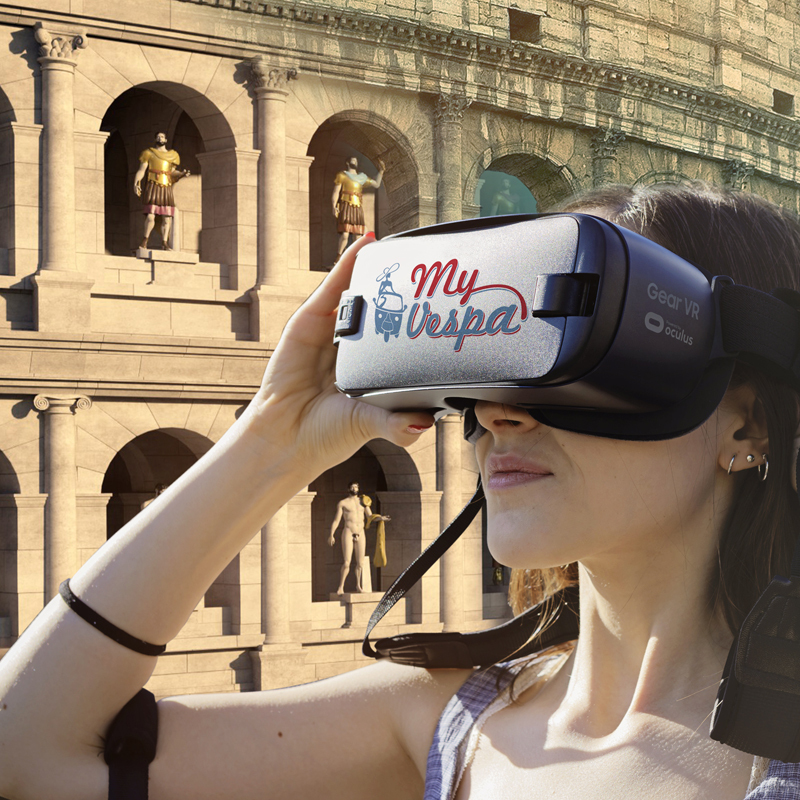 Virtual reality provides a unique, immersive and interactive experience that will leave you speechless. It is an easy-to-use technology that can be used by anyone. Integration with multimedia content makes it a highly informative and interactive tool, stimulating for the visitor. The Virtual Tour of the Caesars is available in three modes: segway, e-bike and Vespa.